The colorful motorcycles, the food stalls selling pad thai, the flashy skytrain above my head, smells of spices and fresh flowers; it was love at first sight. 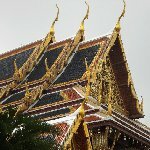 Packed with my Lonely Planet travel guide I reached the Grand Palace which obviously is a must visit on your Bangkok what to see list. Just make sure not to fall for it and always check for yourself whether any given temple, shop or restaurant is open! 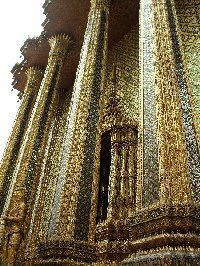 The mosaic art work on the temple walls and all the eye for detail in the Grand Palace area is amazing. 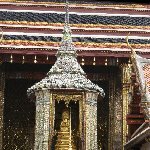 In the gallery below I added some of the pictures which I made on my last trip to Thailand, this March. 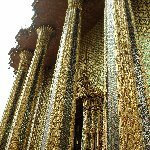 Did you enjoy The Grand Palace Bangkok and have you been on a holiday in Bangkok, Thailand? 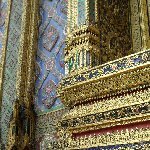 What to do in Bangkok: Grab a map and go for it!